2. His was also a great love story, and the Chinese brutalized his wife, Liu Xia, to put pressure on him. Liu Xia was emotionally fragile, and although she was never even charged with any crime she was confined to house arrest. The Chinese government knew that Liu Xiaobo would never crack, so it deliberately inflicted great isolation and suffering on his wife to gain leverage over him. Yet the couple persevered, and he once wrote a beautiful tribute to her: “Your love is the sunlight that leaps over high walls and penetrates the iron bars of my prison window, stroking every inch of my skin, warming every cell of my body … and filling every minute of my time in prison with meaning. 3. Dissidents are often unreasonable people, for it takes something special to risk everything and challenge an oppressive state. Liu Xiaobo started out his career unreasonable, as an enfant terrible academic, but steadily became more moderate and reasonable in his career. His call for democracy, Charter 08, is a model of reasonableness, and he periodically complimented his persecutors on their professionalism to make clear that he did not resent them—and that is one reason I compare him to Mandela. 4. It’s not clear that President Xi bears responsibility for Liu’s death, but that may well be the case. Although Liu died of liver cancer and had had hepatitis, a risk factor, Chinese prisons are notorious for their poor medical care, and prison authorities often deny medical care to dissidents as a way of putting pressure on them. It seems to me quite plausible that Liu’s cancer would have been discovered earlier, when it was more treatable, if he had not been incarcerated. 5. Liu’s death in custody is also a window into how far backward Xi has taken China. For parts of the 1990’s and 2000’s, Liu was free and able to write for overseas and Internet publications. (I last spoke to him shortly before his arrest in 2008; State Security cut the phone connection after I identified myself.) China under Xi is less free than China was 20 years ago. I wrote an open letter to Liu a few days ago, describing him as perhaps the man I admire most, and I wish he could have seen it—but I’m sure the authorities did not allow him to do so. 6. 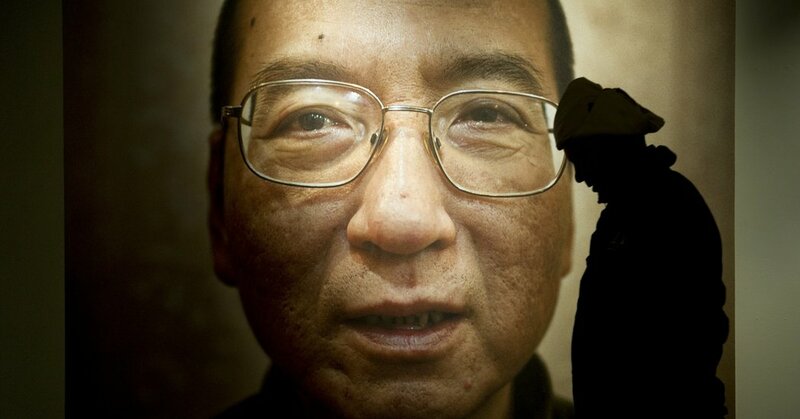 Most Chinese have never heard of Liu Xiaobo, because the state propaganda apparatus has suppressed discussion of him. Thus the paradox: The first person to win a Nobel for work in China has died, and he is little mourned in his own land. Yet for those of us who followed his extraordinarily important and courageous work over the decades, there is a great sense of emptiness and sadness—not so much sadness for Liu himself, who is now free of persecution, but sadness for China’s backward march and sadness for the timidity of world leaders at the brutalization of one of the great men of modern times. There is so much we can learn from Liu’s courage, decency and vision, and some time I look forward to placing flowers at the memorial to him at Tiananmen Square.